It has been edited a formal proposal which Italian Institute of Culture in Osaka decided to promote Italian culture and society though special events platform that will include creative contents from February to June 2019; the project called Milano Genius 2019 will be focused on arts, culture and innovation from Milano City. IIC Osaka’s Director, Mr. Stefano Fossati decided to sustain this project to promote Culture, Arts and Innovation as mutual understanding and pro-active framework between Italy and Japan. Asian Studies Group will support the whole organisation in terms of operative management from Milan, and as partnered organisation it will manage the agenda of activities in direct communication with Italian Institute of Culture in Osaka. The project has been already introduced on preliminary phase to Osaka City and Milano City in the last weeks in behalf of informing the municipalities about patronage and co-branding. Osaka City accepted to cooperate in the initiative hosting some contents of Milano Genius 2019 at important venues under the official promotion and introduction of the government of the City. Both of the two municipalities Milano and Osaka are the cities of EXPO (Milan in 2015 and Osaka in 2025) and Milano Genius 2019 represents an additional common scenario for international cooperation and understanding. 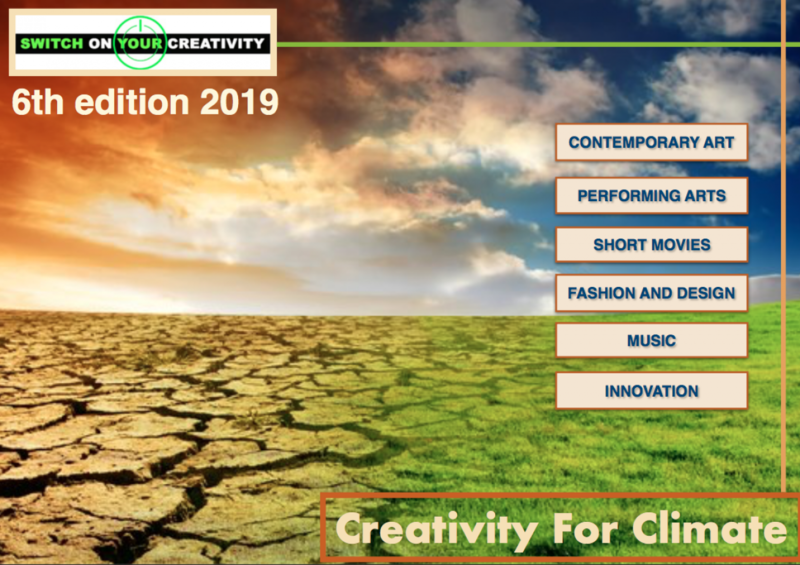 Some contents that are going to be presented in Milano Genius 2019 have been promoted or designed as activities produced though our Switch on Your Creativity hub and they will be sponsored by our side and introduced as part of Switch on Your Creativity 6th Ed. 2019. The logo has been designed by Arianna Galuppo from ACT Agency Milano‘ s team for IIC Osaka and presented on 26th of November to the international relations departments of Milan City and Osaka City. As Association with headquarter based in Milano, on choosing our city as core content of this Milano Genius 2019 exhibition and events serie, we decided to improve cooperative and aggregative dynamics with Osaka City, due of twinning status of Osaka with Milano. Selected venues for activities included in the schedule for Milano Genius are well framed, beyond Festival hall Tower, in Nakanoshima, headquarter of IIC Osaka, they are chosen to show very attractive sides of the city and include universities, museums, public halls and new developing areas like Grand Front Osaka. Innovation is also subtitle of the project and it’s well represented by areas selected as performing venues for the programme. Milano Genius 2019 will embrace Contemporary Art, Design, Performing Arts, Music and Theatre. In particular March will be the months dedicated to Design from Milan in Osaka with some exhibitions and open seminars with inclusive cooperation’s opportunities for japanese designers into joint-project that will allow them to participate to Milan Design Week 2019 in April. In April it will be the turn of performing arts with some special performances, first ever in Japan (like Mistero Buffo – Dario Fo) with seminars and classes about italian contemporary theatre. Always in April there will take place some contemporary art’s exhibitions with technical partnership by highly specialised agency Arti Services (Ms. Alessandra Korfias) and in May it will be the turn of contemporary photography, music with live concerts to introduce italian songwriters from Milan’s area and food experiences with starry chef from Milan who will portray in special menu some creative elements derived by music made in Milan. The performing schedule is going to be busier as long as the opening of Milano Genius is getting closer, with some proposals from many sides we are trying to involve to make this cultural experience branded Milan unique in Osaka. The great success of Youth Design Day 2018 in Japan for Switch on Your Creativity (5th Edition) at the Italian Institute of Culture in Osaka, allows us to appreciate and enhance with greater force the creative results obtained by our designers selected during Milan Design Week 2018. Among all, a special mention should be given to Alessio de Stefano and his work “Filofono”. Alessio, more than anyone else, managed to express and apply the concept of eco-sustainability to a design work. His idea was born from the intention of creating something that was aesthetically satisfying but with a romantic and vintage touch, and that could be useful at the same time to the modern and technological world of today. His project is a mobile amplifier whose effectiveness has already been fully tested at the Italian Institute of Culture in Osaka, where it will continue to be on display until November 13th. Conceived as a design tool that is not too invasive, its traditional wooden color contrast with modern dark and grey amplifiers, trying to visually represent the strong contrast between tradition and modernity with which it was conceived. It deserves to be mentioned because the eco-sustainable sensibility, demonstrated by the use of wood as a material, and the aesthetic-artistic sensibility, demonstrated by the curvy shape, reach a perfect harmony when, together, they recall the great tradition of Italian craftsmanship. However, in this case, tradition is not synonymous with backwardness. Despite being an object that, by the will of its creator, has an aesthetic touch aimed at recalling nostalgia and tradition, it is not fossilised in old-fashioned and old use, but rather looks to the future, trying to be useful for that age group that more than others is better able to live and express the violent changes that take place within our society, caused first of all by the rapid technological evolution. An instrument suitable for youth and modern technology but that will be never unloaded. Being a natural amplifier, it does not require electricity, thus being further eco-sustainable. Filofono tries to demonstrate how useful it can be to return to the artisanal workforce and to discover new uses that materials considered no longer modern can still offer. Tradition and Innovation are the values ​​we want to exalt through Switch On Your Creativity and Alessio De Stefano has fully succeeded in developing them. We hope that Youth Design Day in Japan has given Alessio De Stefano and other young designers the tools and support needed to express their creativity in the field of Design.